Snack foods represent a ~$38B market that’s experiencing steady growth. Driven by a more health conscious, aging population and surging business interest, the market grew ~4% y/y over the last 5 years and is forecast to grow ~3% y/y in the next 5 years [Source: IBISWorld]. 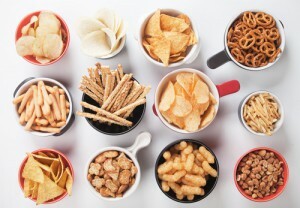 The business of snack foods is not classified as a distinct industry and includes a number of subsegments, each with differing needs, that contribute to the wider food sector. For example, the chip market grew 4.3% y/y 2014-15 [Source: Snack Market Overview] and centers around equipment like peelers, fryers and de-oilers. At the other end of the scale is the still sizeable popcorn market, which declined -2.4% y/y from 2014-15 and focuses on items like kettles and seasoning applicators. 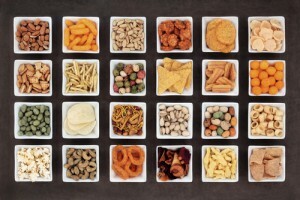 Other snack food businesses like cracker, pretzel, puffs, trail mix and extruded snacks producers require different equipment altogether. Add the requirements of the emerging number of natural snacks businesses and the result is plenty of opportunity for the Kinnek marketplace to provide support to small businesses everywhere. If you’re looking to get quotes or research equipment and supplies for your small business from February 22, 2016, then visit our marketplace. Kinnek has already made significant in-roads into supporting craft beverage businesses and suppliers on our marketplace already provide a number of specialist products for food producers. Nevertheless, we believe snack food producers in particular will benefit from the latest range of suppliers, equipment and products available. That’s why we’re looking forward to helping support the snack food business community and the next popular snack food product! In addition to the food equipment and supplies already on the platform, we’ll be welcoming suppliers with a range of other products and equipment to the marketplace soon. So if you’re a food producer, be sure to visit Kinnek to find full equipment lines for chips, extruded and other snacks. Our suppliers and community of small business owners can also offer advice, education and expertise to any customer looking for industry news, support and purchasing best practice. Kinnek: it’s purchasing made painless. Get quotes on snack food production equipment and supplies with Kinnek now! Subscribe to our blog to get the latest Kinnek news.